Recently I traveled for a shoot in Texas and needed a car. FlightCar popped up as an option and it is like the “AirBnB of your parked car at airports” from the looks of it. The rates were great and it was super easy to book so it was all up to the actual experience and I wanted to share how it went. 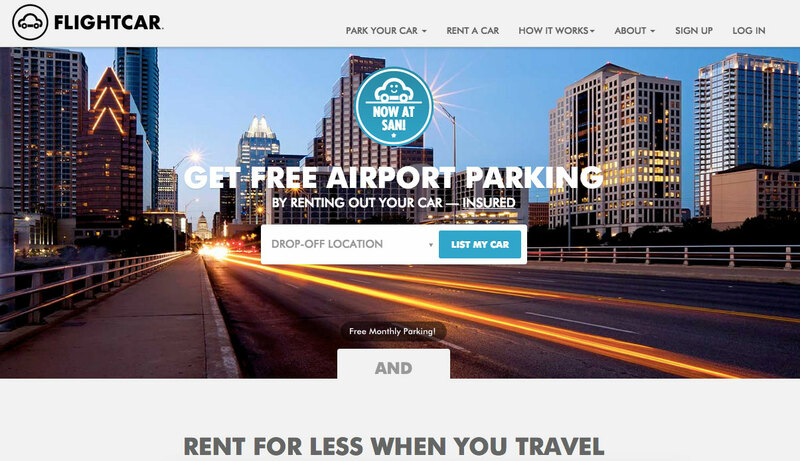 We’ve been seeing a lot of the sharing economy and this business model made a lot of sense since if you are traveling and park at the airport you are just paying to park your car and it sits there – why not rent it out while you are away and earn some revenue with it? In the photography world we have things like Borrowlenses.com which we use when we have shoots out of town and they are great, but I don’t see individuals loaning out their equipment in a sharing economy manner as something that would happen. We do offer gear to our Associate photographers to use as a perk but haven’t monetized it (or wanted to in a specific manner) but the sharing economy has made for some interesting business models that are worth considering. Flightcar had launched an app so I used it when I landed at AUS and it had an option for a pickup. I wasn’t able to figure out where to catch the shuttle so instead took a cab over which they said they’d reimburse for, and arrived at the location where they are setup at a nearby hotel. When I arrived though no one was present (middle photo above) so I had to wait until they showed up (photo at right). Turns out the guy who was manning the kiosk had a car break down on him so it took forever and was a little bit of a buzz kill. He was profusely apologetic but they might need to staff more than one person although it seemed like the Austin location wasn’t a booming one (I suspect SFO is larger?). He had picked out a large Cadillac for me but since I didn’t want to use up so much fuel I asked for a smaller car and they obliged (the rate was already locked in earlier when I booked). The car I got turned out being a bit beat up but partly that could have been my fault for asking for a different vehicle, but then again these are people’s cars and not strictly a rental fleet. The drivers side window didn’t roll down confidently so I almost didn’t want to use it much. I’m not sure how they vet the actual vehicles in the fleet but they may wanna do more testing/audits of the cars as it also made a scraping sound when you turned to one side. That being said, I really like the idea of Flightcar. I told some compatriots at the shoot about Flightcar and they were intrigued. I think if they can have their locations staffed well and vet their vehicles well that it can really take off. I’m not sure how the insurance situation works if something actually happens and if they have any sort of roadside assistance, but then again, I’ve never used most of those services in the nearly 20 years I’ve been renting cars. If you’re interested in trying them out – here’s a $20 coupon code/link!